Most horror movies are inherently ridiculous. They usually ask us to believe in things that aren’t possible, that flout the rules of reality, and to become so invested in these fictional worlds that we feel legitimate fear over what happens. Maybe that’s why we prefer horror movies that embrace that ridiculousness and intentionally try to make us frighten and invoke our hidden worst fears over some occasions? Let’s get something straight. This is a list of the best horror films currently streaming on iTunes, but it’s also an indictment of the state of horror on iTunes streaming. It's a scary and terrifying film and one of the best Horror films of the 90s. 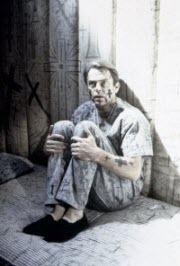 It is mainly known by Lovecraft amateurs and patented fans of Carpenter and you may rarely hear people talk about it when Carpenter’s work comes into a discussion. Though the movie has a pitiful 48% on Rotten Tomatoes, a nice 7.2/10 on IMDB. And we think true horror fans will rejoice that this movie made it to iTunes. 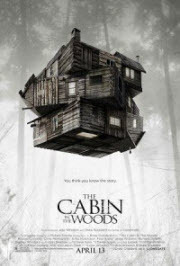 The Cabin in the Woods is an astonishing meta-feat, capable of being funny, strange, and scary film. People loved it - and not because it was the most horrifying and controversial scary flick ever released. It was a huge success because it gave fans of the horror genre something new. It made them laugh because it lovingly poked fun at a genre the fans knew by heart. 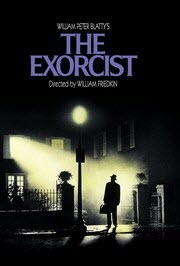 The Exorcist is one of the best movies come out of the 70's and deserves better than descending down the top 250. It's one of the essential films you have to see in order to understand what a movie truly is and it'is more than a horror film. It is not difficult to understand why the film generated such a seismic global impact all those years ago, since it imposed an unprecedented sensory attack on the viewer. It should be one of the favorite horror movies for kids and family. 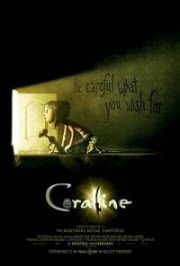 Written and directed by stop-motion supremo Henry Selick, the story is about Coraline Jones, an 11-year-old girl who is endlessly bored after moving to a new home with gardening-writer parents, who are on a catalogue deadline and scarcely have time for gardening themselves, let alone their unhappy daughter. 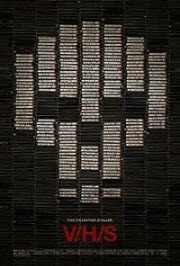 V/H/S 1&2 are must-see films for horror fans. The V/H/S 1 is fun, but you may think it was just on the verge of being something incredible. V/H/S 2 achieves that status and more. Almost all of the segments in this installment are strong, but Gareth Evans’ “Safe Haven” is the most unbelievable pieces of work you’ll see on so small budget. It takes the found footage genre to a whole new level and never fails to shock. 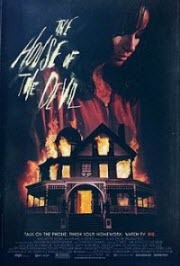 The House of the Devil is a fastidiously detailed, pitch-perfect homage to 80's horror, which adheres to genre conventions while at the same time transcending them. Director Ti West understands what makes horror films work, that the horror is always more exciting when you don't know when to expect it. So that's why it is in our must-see horror list. 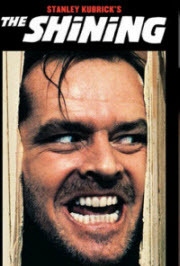 The Shining based on a novel by Stephen King, is a psychological horror and classic film which has inspired hundreds of thousands, if not millions, of words devoted to finding the meaning behind the film. It's great when a film can pull you in and intensify your heart rate without the use of cheap scare tactics. Even over 30 years later, this film truly strikes fear in viewer's heart. The Loved Ones is a violent horror film. Whatever Lola wants, Lola gets, and, pretty boy, Lola wants you! Sean Byrne’s hilariously dark and supremely confident mash-up of Misery, Saw and Carrie is the coolest Ozploitation horror of the century. Slick, quick and sick, Byrne’s stylish twist on teen horror provides fresh jolts, graphic gasps and superior scream ‘n squeal shocks. This classic horror film combines just the right amount of gore and black humor, giving this film an equal amount of thrills and laughs. The Evil Dead does not scream Lovecraft, but the fact that the entire situation revolves around a Necronomicon (Book of the Dead) and the fact that you will have plenty of inter-dimensional things going in The Evil Dead make this one that definitely qualifies for this list. 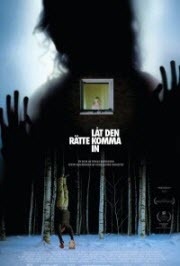 A gruesome vampire horror film with a tender, beating heart, Let The Right One In busts all bloodsucker cliches to tell a superbly simple, yet wholly surprising and in the end utterly twisted story of a young boy’s relationship with a mysterious girl who may look his age, but is in fact more than a little bit older. Acclaimed by critics and audiences alike on its initial release in 2008, Let The Right One In's reputation has only grown in the ensuing years, making it one of the few recent horror hits that genre fans can all agree on - and a runaway leader in our list. For those who have already downloaded those top horror movies from iTunes Store, there is no better way of streaming those horror movies than watching on HD TV with our family or best friends. As is known to all that iTunes purchased and rented movies (and TV shows) are encrypted by Apple's FairPlay DRM, which makes them unplayable on non-Apple devices, such as Samsung Smart TV, Vizio TV and Amazon Fire TV, etc. In order to better enjoy our movies, we should first remove DRM and then play them on big screen TV for enjoying with family or friends. 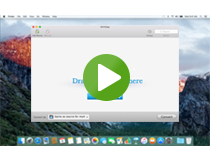 The most efficient way is to turn to the third party, such as M4VGear DRM Media Converter, which can fast strip DRM protection thus to make these movies playable on Apple TV and other non-Apple TV, and preserve multilingual subtitles and all audio tracks (including Dolby 5.1 audio track). Note: The trial version of M4VGear enables you convert movies for 1 minute of each movie. If you'd like to own more functions with this amazing and ease of use tool, you can buy the full version of M4VGear. Do not hesitate; just buy the full version with 44.95 $49.95 to unlock the time limitation and enjoy this reliable and powerful tool now!